RT3070 Chipset: RT3070 is a highly integrated Wi-Fi single chip which supports 150 Mbps PHY rate. 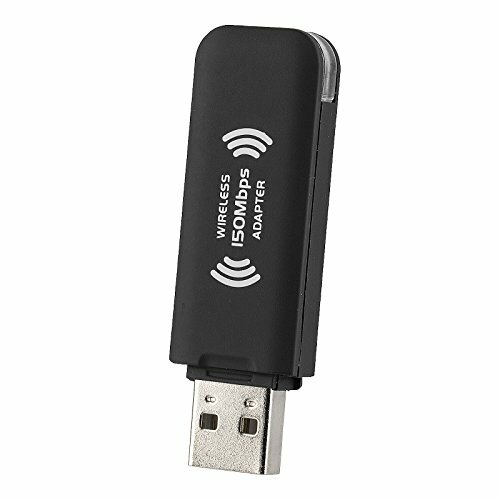 This USB wireless adapter not only works on Windows computer, but also Mac and Linux system. Some DVR also support this RT3070 chipset WiFi adapter. Support 802.11 n/b/g: It fully complies with IEEE 802.11 n/b/g standards, offering feature-rich wireless connectivity at high standards, and delivering reliable, cost-effective throughput from an extended distance. Internal Antenna: Built-in antenna to provide better wireless transmission, stability and wireless coverage. The product support 64/ 128/ 152 bit WEP encryption, and WPA/ WPA2, WPA-PSK/ WPA2-PSK advanced encryption. Download Driver: Item is in bulk pack, no packing, no manual and no CD, please download and install driver from mediatek official website or orangejuice technology website before use. Manufacturer: Orange Juice Technology Co., LTD. Publisher: Orange Juice Technology Co., LTD. Studio: Orange Juice Technology Co., LTD. If you have any questions about this product by Orange Juice, contact us by completing and submitting the form below. If you are looking for a specif part number, please include it with your message.